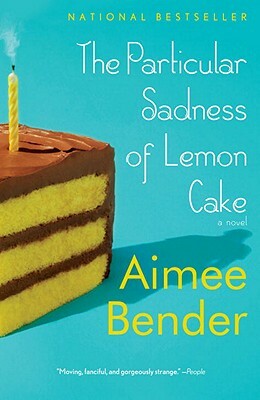 Aimee Bender is the author of the novels The Particular Sadness of Lemon Cake—a New York Times bestseller—and An Invisible Sign of My Own, and of the collections The Girl in the Flammable Skirt and Willful Creatures. Her works have been widely anthologized and have been translated into sixteen languages. She lives in Los Angeles. Rose goes through life feeling people’s emotions through their food. Many eat to feel happy and comforted. Does this extreme sensory experience bring any happiness to Rose or only sadness? What does Rose mean when she says her dad always seemed like a guest to her? How does this play out in the rest of the novel? “Mom's smiles were so full of feeling that people leaned back a little when she greeted them. It was hard to know just how much was being offered.” What does Rose mean and how does this trait affect her mother’s relationships? Why do you think Rose's dad liked medical dramas but hated hospitals? Rose says, “Mom loved my brother more. Not that she didn’t love me— I felt the wash of her love everyday, pouring over me, but it was a different kind, siphoned from a different, and tamer, body of water. I was her darling daughter; Joseph was her it.” Do you think Rose is right in her estimation and why do you think her mother might feel this way? What does the grandmother suggest when she tells Rose “you don’t even know me, how can you love me?” How has the grandmother’s relationship with Rose’s own mother affected the family dynamic? What is Joseph trying to accomplish by drawing a "perfect" circle when it, by very definition, is impossible? How does George’s idea to create wallpaper out of the imperfections affect him? How does validation and affection through art recur in the novel and what does it signify? Why does George suddenly conclude Rose’s gift isn’t really a problem and stops investigating it? What is the significance of the mother’s commitment to carpentry (compared to other, short-lived hobbies)? How does this play out in the rest of the novel? What is the impact of Rose's discovery about her father's skills? Did this change the way you see the father? Joseph is described as a desert and geode while Rose is a rainforest and sea glass. Discuss the implications. Why does Rose want to keep the thread-bare footstool of her parents’ courtship instead of having her mother make her a new one? Are the family dinners—with Joseph reading, the dad eating, Rose silently trying to survive the meal and the mom talking non-stop—emblematic of the family dynamic? How has it evolved over the years? How did you experience the scene in Joseph's room, when Rose goes to see him? What did that experience mean to Rose? Is there any significance to Joseph choosing a card table chair? What does the last image about the trees have to do with this family? How do you interpret the last line of the novel?